Shri Mahila Sewa Sahakari Bank Ltd.
To meet small difficulties and overcome worries Chinta Nivaran Yojana (Worry Riddance Scheme) was started in 1999, that year Sewa Bank celebrated its silver jubilee with contributions ranging from Rs.40, Rs. 80 and Rs. 120. Under this scheme, deposits are made every month up to Five Years. In any emergency like Natural Calamities Cyclone, Earthquake, Flood, Famine, Accidental death of family member, illness or any kind of emergency, after one year of joining in the scheme they can get an overdraft loan. 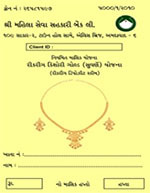 This scheme was started in 2004 which encourage member to save money for special occasion. This was aimed at meeting expenses towards buying gold and gold ornaments during the wedding of their progeny. Gold ornaments are assets and a saving. Gold can help in both occasion daughters’ wedding or son’s wedding. At the time of marriage one does not have to borrow for the purpose of buying gold. Small savings made gradually or accumulated gold can be used for future occasions. This scheme was Launched in 1999. This was primarily aimed to help members during wedding of their sons and daughters. The main object is that members start to think for their tomorrow. Also they avoid unnecessary loans and understand Importance of Saving. 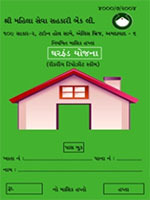 To enable the member to have a house of their own and in particular in their own name was started Ghar Fund Yojana (House Fund Scheme) in 1999. With the maturity amount after 5 years/ 10 years woman can build their own houses or renovate their houses from the amount, If the bank finds it appropriate members will get the same amount as a loan under the bank's terms and conditions. 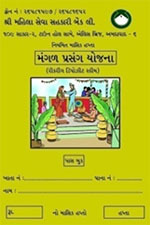 © 2012 SEWA Bank Ltd.